The suspense was not as suspenseful as we hoped, but the outcome is appropriate. Dosidos has helped The Herbal Cure win a few awards in town and is unanimously one of our most popular strains. The plant is gorgeous and we appreciate her in our garden every week. This cross of OGKB x Faceoff OG by Archive Seedbank belongs in the Strain Hall of Fame and it might be time we retire her from competitions–at least internal ones. 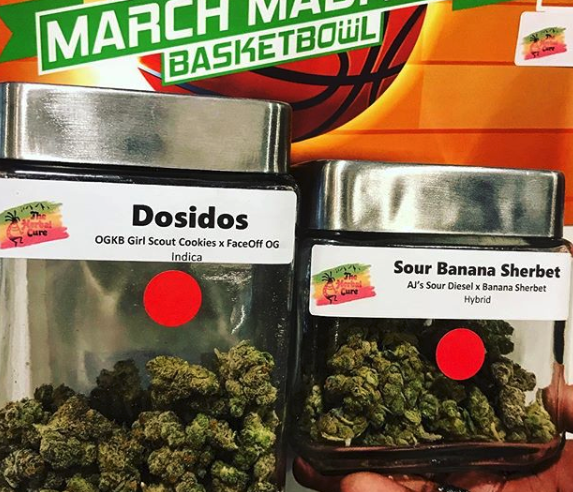 Perhaps the only real surprise is that Sour Banana Sherb made it to the finals over Frankenberry. One of our favorites and a modern interpretation of Sour from Crockett, the SBS also happens to make some of our favorite hash. The Herbal Cure MMJ and Wellness Center is here for all your patient needs! Our patients have a friendly, comfortable, private, secure, and knowledgeable place to make educated decisions about their medicine. © 2019 The Herbal Cure.